Chicago Dance Makers Forum SHareOUT! 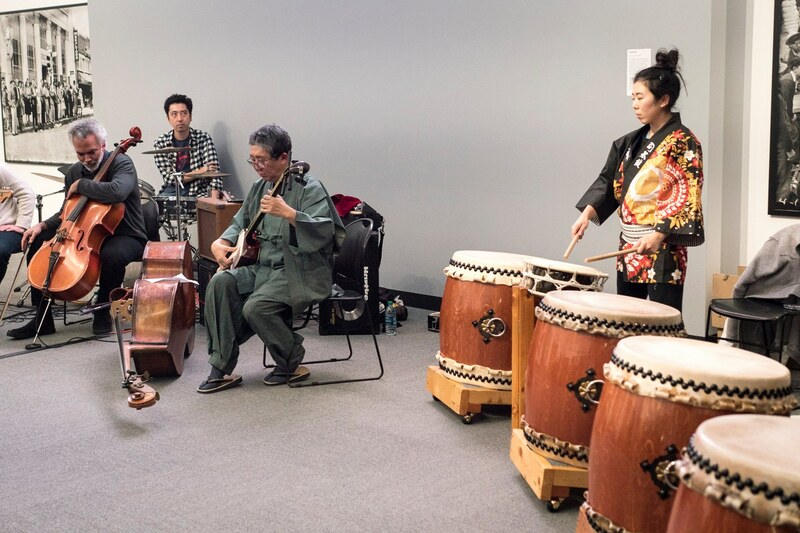 Executive Director Tatsu Aoki and Gintenkai Premiere performer and instructor Kioto Aoki of Tsukasa Taiko are collaborators and featured artists at Shubukai grand master Yoshinojo Fujima’s Lab project presentation Asobi: Playing within Time, hosted at the Museum of Contemporary Art Chicago’s SHareOUT! Festival. Buy tickets and find more information about this event.